All the ingredients mixed in just right - high concept, flesh-and-blood protagonist, and realistic action. 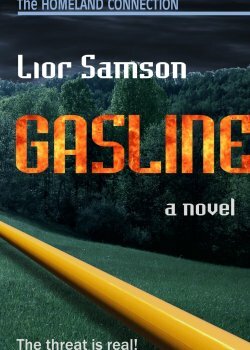 With the fast pace, realistic characters and intriguing stories that make all of Samson’s novels memorable, Gasline takes an original idea and tackles the subject of energy from a new perspective. The lead character, Kat, is a woman every man would like to meet – and go for a motorcycle ride together into the night. The rest of the cast is no less real and captivating, delivering action and conflict that’s real and exciting. This is a great novel with all the ingredients mixed in just right – high concept, flesh-and-blood protagonist, and realistic action. The supply of energy is the bloodline of modern humanity – and this novel will raise your blood pressure – and make you think about energy in a different way. A great read!